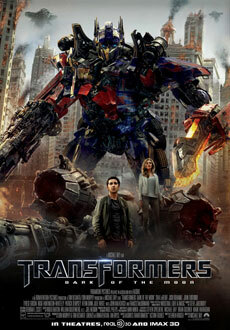 Transformers: Dark of the Moon eclipsed its box office rivals with a record breaking opening weekend. The action blockbuster, the third in the Transformers franchise, enjoyed the most successful Independence Day weekend ever at the US box office after taking $97 million â€“ easily surpassing Spider-Man 2’s total of $88 million during the American holiday in 2004. Since Dark of the Moon debuted last Tuesday it has now made $162 million. However, its success is tempered by the fact it didn’t achieve the projected sales target of $180 million. The film, which is estimated to have cost nearly $200 million, also fell short of the previous instalment’s opening weekend box office. 2009’s Transformers: Revenge of the Fallen made $109 million. Critics have also pointed out that Dark of the Moon’s success is due to rising ticket prices attributed to its 3D screenings, which costs cinemagoers around $3 more per ticket.